The girls and I drove up to KL for my Silver Jubilee School Reunion (St. George's Institution, Taiping - Class of 85). It was a trip down memory lane to catch up with long lost class mates, most of us who left Taiping to seek our fortunes and adventures elsewhere. 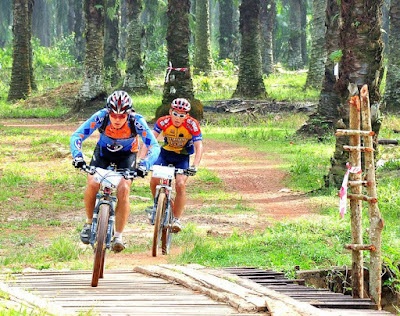 I brought the Scott Spark MTB along and met up with a few fellow Malaysian riders at the Bukit Kiara trails. Kiara is a joy to ride, it is technical along some stretches but overall quite rideable. The trail is very well designed and maintained. There were hardly any puddles even though it rained the day before, drainage is excellent. 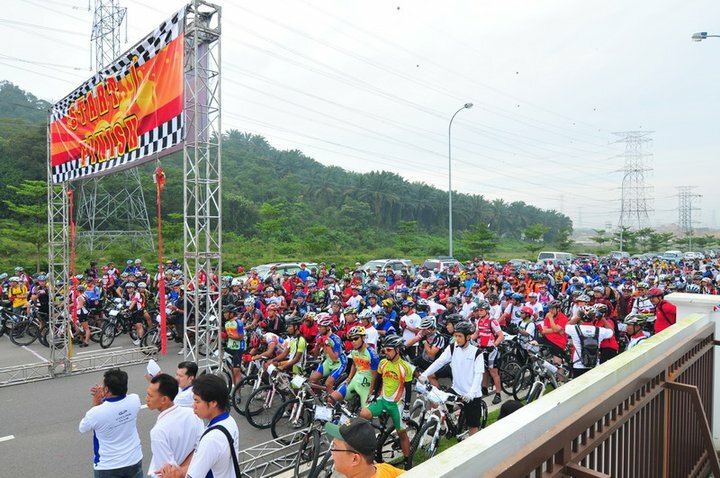 I also had the opportunity to participate in the KL mountain bike hash #195 in Semenyih, 20km of well organised trails with a few killer climbs thrown in to separate the boys from the men. The ride started with 480 mountain bikers, and after the obligatory speeches and a special firecracker light up, the 50km ride (race for some of us) was on! It was a great start for me, no jams throughout the day. 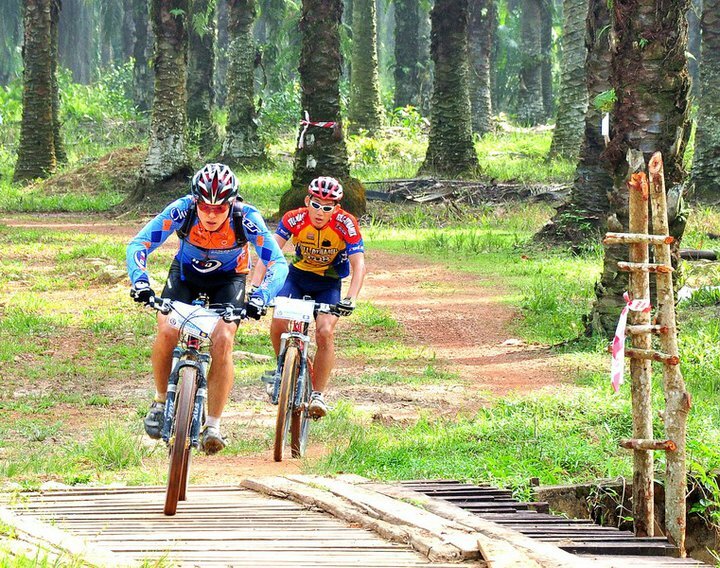 The terrain included the typical Malaysian oil palm and rubber plantation fire trails and single tracks, and the entire trail is 99% rideable. The trail conditions were dry, with only some muddy puddles and cow dungs along the way, although there were some treacherous mossy sections too. There were a fair share of steep and long inclines, culminating in a monster climb towards the end. Thankfully there were some nice fast downhills as well, with a few requiring delicate control and balance. As the cool morning wore on, it became hotter and I could feel the cramps creeping in my thighs and lower back. I was popping extra electrolytes to mitigate this, and I think I just made it to the finish before my lower body would have seized up on me. All 5-0 riders did well, I came in 15th, Morten followed soon after, with Trond and David Lucas finishing in the top 50.